This was always one of my favorites, turned down from the main site on account of its toyness. It’s a great image regardless. I already knew I wanted a Miscellany site up by the time I received this one, though it turned out to be quite awhile before that acutally happened. 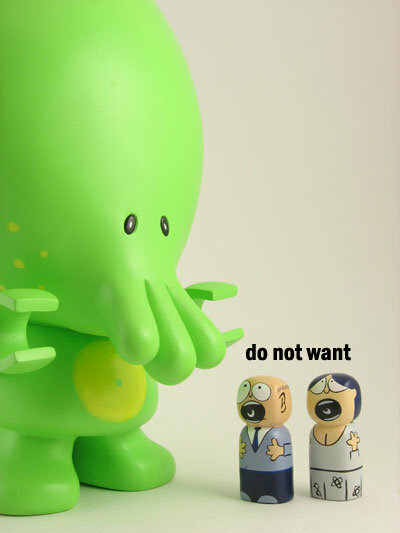 The very idea that there are Cthulhu toys out there is extremely amusing to me. Talia is the best! so is zoe and maybe sammy….duhduhduhhhhhhhhhhh!